We are engaged in offering manufacturing & job work in CNC Turning Service which has High Accuracy and Excellent Surface Finish, diverse shapes of different parts. Easy usage of controls and robust design helps in developing shapes using CNC turning. taper, contour, fillet and radius profiles plus threaded surfaces. Precision and Consistency For many manufacturing businesses precision and repeatability is crucial. Whether it needs to be a standard size, quality or level of detail, consistency is crucial. CNC machining provides this ability to reproduce large quantities of an item with the same specifications throughout the production run. This repeatability ensures that the high level of quality stays the same and is not compromised by human error. 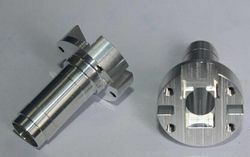 For CNC machining the repeatability is usually /- 0.001. This allows precise measurements, specific characteristics, and high quality to be present in the final product. With our core values driven by a desire to achieve excellence and operate with the highest standards of integrity, we offer our clients with Turned Machining of Ferrous & Non-Ferrous Parts that are highly useful for electrical, electronics, automobiles and light engineering applications. 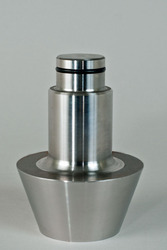 We are a leading manufacturer of CNC turned shafts in mild steel, alloy steels, carbon steels and Stainless Steel. Our Turned Shafts size range from diameter 5mm to 165mm and length upto 500mm. 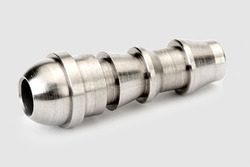 We manufacture CNC turned shafts as per drawings and specifications of customers. Batch production Our flexibility and vast experience enables us to accommodate your small or mass volume requests. Our aim is to supply and manufacture cost effective and quality components. We can also offer in house assembly and a variety of finishes and treatments from our approved suppliers. Milling Services Precision Metal Works are able to machine components in a wide range of materials including bronze, aluminium, and stainless steel. Our company provides a complete engineering solution, from manufacturing to delivery. 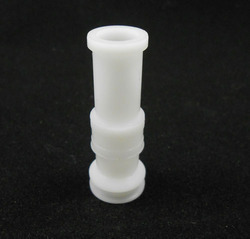 Precision parts Our aim is to supply you with the right precision parts, first time, everytime. Our eye for detail is second to none. We are highly focused on the manufacture and supply of Turned Machining of Plastics Parts for the automobile and industrial applications. Presently we cater to many O.E.M., that are used in multitude of applications like: Bearings, bushings, seals and guides typically have close tolerances with diameters that need to be held to +/-. 001 or less.